Bonn, 23 May 2014 - A formidable coalition of NGOs and local groups is staging events at 250 locations worldwide starting in New Zealand and finishing in Hawaii on the inaugural World Fish Migration Day on Saturday, 24 May. The common theme for the events is “Connecting Fish, Rivers and People” and the global celebrations are aiming to raise awareness of the importance of conserving freshwater migratory fish and free flowing rivers. The principal partners responsible for World Fish Migration Day are The Nature Conservancy (Maine), WWF (Netherlands), the Water Authority Amstel Gooi en Vecht, the IUCN Freshwater Fish Specialist Group, Wanningen Water Consult and LINKit consult. CMS is also sponsoring the event. “The phenomenon of fish migration is well known and many people have seen documentaries, for instance on salmon which migrate back to where they were born to spawn and die. Due to all kinds of infrastructure such as dams, migratory fish are more and more confronted with these kinds of barrier that prevent them from returning to their breeding grounds. The World Fish Migration Day is addressing these challenges. The Convention on Migratory Species is becoming increasingly involved in the conservation of migratory fish and for that reason it is also providing support to this important initiative”, said Bert Lenten (Deputy Executive Secretary) who will participate in a World Fish Migration Day event being organized in Amsterdam, the Netherlands on 24 May. Back in 2005, the first winner of the CMS Thesis Award was Zeb Hogan, for his work “the Ecology, Genetics and Conservation of the Migratory Catfish (Pangasiidae) in the Mekong River”; he is now the CMS COP-appointed Scientific Councillor for fish. Appendices I and II of the Convention on Migratory Species (CMS) currently include twenty-one species of freshwater fish, including one teleost (the Mekong giant catfish, Pangasianodon gigas) and twenty species of Acipenseriformes (sturgeon and paddlefish). The European sea sturgeon (Acipenser sturio) and the Mekong giant catfish are listed in Appendix I. 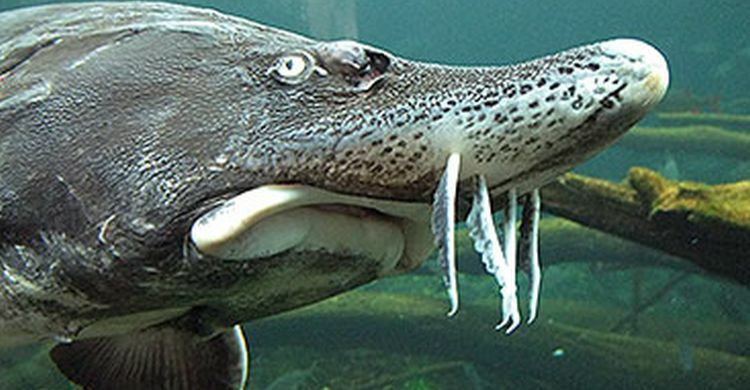 An additional nineteen species of sturgeon and paddlefish are listed on Appendix II. World Fish Migration Day 2016: Connecting Fish, Rivers and People!